The MSE Equity Price Index stayed at just above 4,692 points on Tuesday as the gains in four equities were almost completely wiped out by the declines in nine other companies. Meanwhile, HSBC and MIDI closed the day unchanged. Trading volumes improved slightly to €0.18 million. 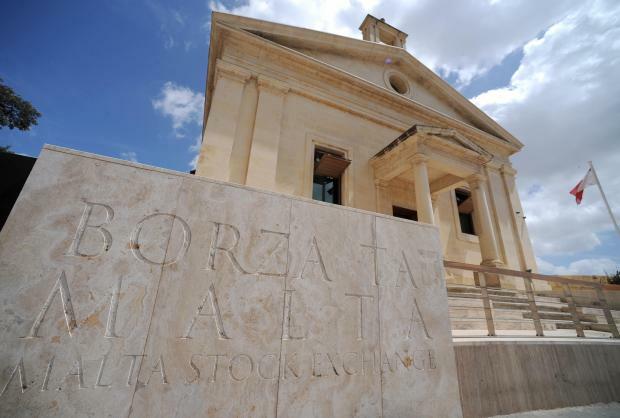 Bank of Valletta plc rebounded by 3.1% to regain the €1.34 level across 9,538 shares. On Monday, the bank announced that it would be redeeming the 4.25% subordinated bonds maturing on May 17, 2019. The last trading date in the bonds will be Monday April 29. A single deal of 21,840 shares lifted the equity of PG plc 1.4% higher to the €1.49 level and just below its all-time high of €1.50. Similarly, Simonds Farsons Cisk plc went up by 0.6% to a 16-month high of €8.80 albeit on trivial volumes. Farsons is due to publish the results for the 2017/18 financial year on May 15. BMIT Technologies plc added 0.9% to recapture the €0.535 level across 33,500 shares. In contrast, GO plc moved back to the €4.80 level (-0.4%) on activity totalling 3,050 shares. Shareholders as at close of trading on April 24 will be entitled to an ordinary final net dividend of €0.14 per share and will also be eligible to receive a special interim dividend of €0.41 per share. Also among the large companies, Malta International Airport plc shed 1.5% to the €6.55 level across 7,395 shares whilst FIMBank plc shed almost 5% to $0.68 on shallow volumes. Low trading activity also took place in the equities of Lombard Bank Malta plc (€2.28), Medserv plc (€1.06) and MaltaPost plc (€1.20), all of which posted declines of more than 2.5%. Medserv is due to publish its results for the 2018 financial year on April 24. In the property segment, Malita Investments plc retreated 1.7% to the €0.87 level across 28,500 shares. Main Street Complex plc slipped 3.1% to the €0.63 level across 4,500 shares as it turned ex-dividend. Similarly, Malta Properties Company plc dropped 4.9% back to the €0.58 level across two deals totalling 1,527 shares. Meanwhile, HSBC Bank Malta plc maintained its near two-month high of €1.67 across 10,000 shares. on Wednesday, the bank is scheduled to hold its annual general meeting. A single deal of 2,000 shares left the equity of MIDI plc at the €0.615 level. The company is due to publish the results for the 2018 financial year on April 25. The RF MGS Index extended Monday's drop by a further 0.07% to 1,112.425 points as bond yields in the euro area continued to trend higher amid a rebound in economic sentiment in Germany and across the single currency area.